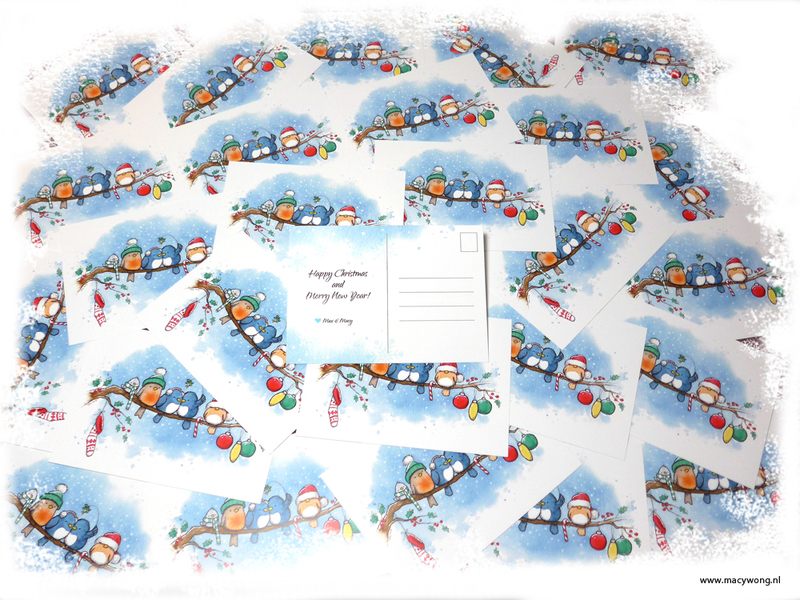 Printed Christmas cards from my original pen and watercolor illustration. Merry Christmas and Happy 2017 to everyone! Copyright © 2016 Macy Wong. All Rights Reserved.